TV21 Single "Ambition"(Powbeat Aaargh 002). Piano on 'b'side "Ticking Away"
LAST CHANT Single "Run Of The Dove"(Chicken Jazz Jazz 4).Mike produced and sings backing vocals on "Run Of The Dove". THE RAG DOLLS on compilation EP(Gear 17) given away with Issue 2 of fanzine "What A Nice Way To Turn Seventeen". Piano on "Sparrows". WIRE TRAIN Single "She Comes On"(CBS 650422 6). Mike,Steve and Anto all guest on 'b' side "Compassion" playing acoustic guitar,fiddle and mandolin. TOMAS MAC EOIN Single "Down By The Sally Gardens"/"Bleann Na Bo" (Ensign ENY 627 - Ireland only). Both tracks produced by Mike and featuring 6 Waterboys : Mike Scott(Acoustic Guitar),Trevor Hutchison (Bass) ,Steve Wickham (Fiddle),Anthony Thistlethwaite (Mandolin, Sax, Harmonica),Colin Blakey(Whistle and Border Horn),Noel Bridgeman (Drums). Also features John Dunford (Waterboys soundman) and Liam O'Maonlai, both on backing vocals. Sleevenotes by Steve Wickham. THE SAWDOCTORS Single "N17" (Solid Records ROK 728 also included on 2 Sawdoctors albums : "If This Is Rock And Roll I Want My Old Job Back"(Solid ROCD 7) and "Sing A Powerful Song" (Solid) Mike produced and sings backing vocals on "N17". Track also features Anthony Thistlethwaite (Sax). 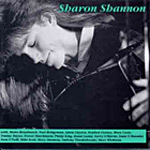 SHARON SHANNON album "Sharon Shannon"(Solid Records,ROCD 8). Mike plays piano and guitar on his and Sharon's co-composition "The Munster Hop". Album also features Steve Wickham,Anthony Thistlethwaite,Trevor Hutchinson and Noel Bridgeman. PAL SHAZAR album "Wild Thing In The House" (This Way Up Records UK/Shiffaroe Records US no. PAL 22194). Electric guitar and piano on "Then I Met Anna" and "If It's You That I Got Here". Co-lead vocals and guitar on "Penny For Your Thoughts". JACKIE LEVEN album "The Mystery Of Love Is Greater Than The Mystery Of Death" (Cooking Vinyl Cook CD 064). Mike recites Osip Mandelstam's poem "He Who Finds A Horseshoe" at the end of "Clay Jug". IAN McNABB album "A Party Political Broadcast On Behalf Of The Emotional Party" (Fairfields FAIR CD1). Acoustic guitar on "The Man Who Can Make A Woman Laugh" and "You Only Get What You Deserve". Guitar,percussion and backing vocals on "Loveless Age". Album also features Anthony Thistlethwaite. IAN McNABB track "Salt Of The Earth" on album "Beggars Banquet 21st Anniversary" (BB CD 21 Promotional only). Mike and Anto play a variety of intstruments and Anto sings lead for two verses. NIKKI SUDDEN compilation album "The Last Bandit" (Glitterhouse Records, Germany GRCD495). Production, guitars, piano, backing vocals on "The Road Of Broken Dreams" co-written with Nikki Sudden.